Understanding How GFCI Outlets Work. The purpose of this blog is to help you reduce your maintenance costs and teach you how to reset your own GFCI outlets and breakers. The GFCI (Ground Fault Circuit Interrupter) outlet’s most important duty is to protect us from electric shock. To identify these outlets, look for a small square test button on the front. If a GFCI receptacle trips, meaning it stops working, the fault sometimes can be weather or wetness related. Metal appliances shorting out, by leaking electrical current to ground, will also cause these outlets to trip. At times, the solution to this problem is as easy as pushing the button on the front of the GFCI receptacle. Sometimes it requires the services of a licensed electrician. British American Electric is here to help you with some useful information and tips to try before you call for the services of a Master Electrician. 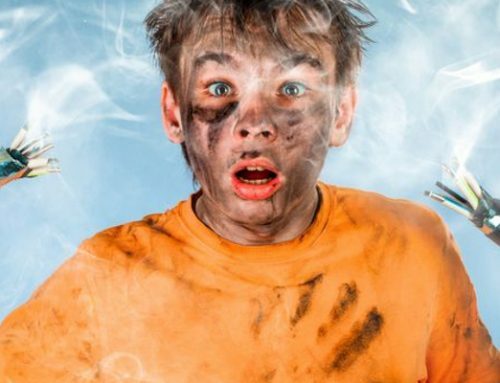 Just because a GFCI is tripping, it does not necessarily mean that the GFCI unit is bad. When trying to reset the GFCI breaker or outlet, you should always unplug all of the items that are plugged into the outlets that are controlled by that GFCI. By doing this, you remove all of the items that could be causing the GFCI to trip. 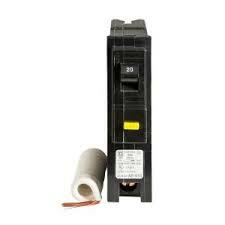 Faulty appliances can often be the cause of a GFCI tripping problem. The top contenders for tripping a GFCI are: refrigerators, dishwashers, toasters or other items that have an all metal structure. The GFCI receptacle often protects more than just one receptacle in the house. And it can often prove confusing for a home owner to determine which GFCI controls which outlets. 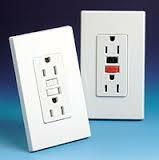 All the outdoor receptacles in your home should controlled by a GFCI receptacle. It may be in the garage or at some other location. It is not uncommon to have a GFCI receptacle located in the garage which protects all of the receptacles in the bathrooms of a home. In some homes, instead of a GFCI outlet in the garage controlling all of the bathroom or outdoor receptacles, the contractor may have used a GFCI breaker. These can be identified in a panel box as having a little white or yellow button on the front of them. Both GFCI outlets and breakers should be tested monthly to ensure correct operation. British American Electric of Williamsburg, Virginia is able to test all of these receptacles and ensure your safety and prove that they are working correctly. Predominantly in the garage area, where extra appliances are usually plugged in, people will often plug their refrigerators into a GFCI outlet. This is not recommended. If and when the GFCI trips, you will likely lose all of the food in the refrigerator or freezer. British American Electric would always recommend a separate stand-alone circuit for any refrigerator in your home.